We’re sure you already know what a VPN is. If you don’t, this page by VeePN will explain it well. Even if you don’t care about your privacy (you should!) you can still use a VPN to visit websites and use streaming services that are geo-blocked. The service we are reviewing today has been active for more than 8 years. 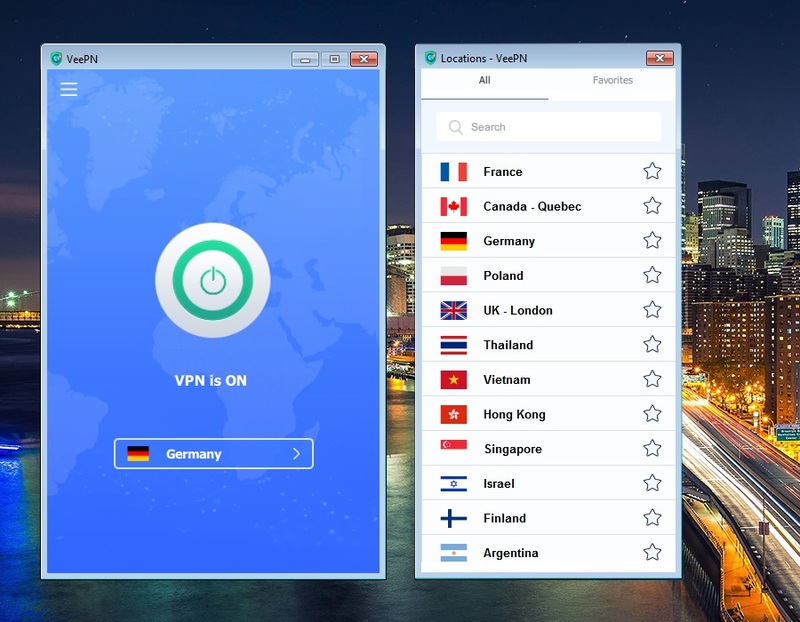 You see new VPN providers pop up quite often these days, but most of them usually go offline a few months later and they’re nowhere to be found, which is especially concerning if you’ve pre-paid for their services for a year or so. The fact that VeePN withstood the test of time is a huge milestone of itself. It’s one of the most important factors when choosing a hosting provider, which also works for VPN providers. You can find dozens of (real) reviews for VeePN, most (if not all) of which are positive, which is another great sign. These 2 factors alone gave us an idea of the quality of services VeePN is offering, even before actually trying the service. A kill switch is a must-have nowadays. If your VPN connection drops, you’re left “exposed,” meaning anyone can see your browsing activity now. It’s quite annoying to constantly monitor and check if the VPN is working if you don’t have a kill switch. With VeePN’s kill switch, if the VPN connection fails, so does your internet connection, so there’s no risk of going back to your real IP in the middle of whatever you’re using the VPN for. It’s one of our favorite feature of the service. They have a No Log policy, which basically means that they won’t log your device’s metadata, your primary IP, your browsing history etc. This feature is also a must-have when it comes to VPNs. 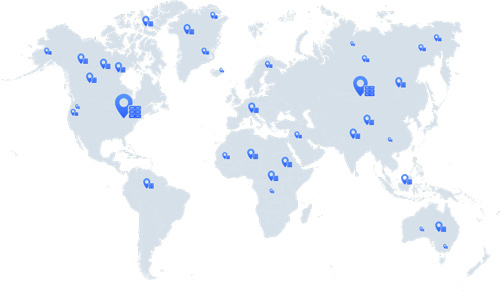 Most VPN users want to have multiple server locations available. Preferably, a location should be available from all around the world. VeePN offers more than 48 locations. They include all major US states, various European countries, and basically every location you’d need. Lots of locations, providing you with lots of options. This service is neither the cheapest nor the most expensive. It is somewhere in the middle, which is fine considering what you’re getting. You can get a discount by pre-paying for a longer period. Their monthly price is $10.99 and lifetime price is $199.99. You can get more details on their pricing page. What we recommend is trying them out with their 7-day free trial at first (you don’t need to add a credit card or anything). Then you can get a lifetime subscription if all goes well. They also have a 30-day money-back guarantee. Aside from the usual payment options like PayPal and credit cards, they also accept crypto payments through CoinPayments (Bitcoin, Litecoin, and more). Though using a VPN is pretty straightforward, especially since they have an extensive knowledge base, you can contact them anytime and ask for support. You can use VeePN on 10 devices at the same time. Other VPN providers usually limit you to five devices or less. In an average household you wouldn’t even need more than 5 devices, but anyway, it’s nice to have the option. You can also buy extra slots. We tried the Windows and Android client apps and they work great. Easy to install, and easy to use. You can turn on your VPN and switch locations with a single click. They don’t limit your usage and don’t track your bandwidth used. So feel free to watch 4k streams. You can switch through the VPN protocol you use via their client apps (Settings page). They currently support OpenVPN, IKEv2, Smart TCP and Smart UDP. Which is more than you need anyway. They’re still working on client apps and integration with other devices. As of writing this, the only supported platforms are Windows, Mac, iOS, and Android. All the other integrations (browser add-ons, Linux, Apple TV, routers) are under development. Though you can still use the Windows and Mac apps instead of a browser add-on, there’s still no way of using VeePN with Linux at the moment. All in all, they’re a great VPN provider with fair pricing and lots of useful features. At the end of the day, they do have a free trial and a money-back guarantee, so you can always try them out before committing to anything long-term. We encourage you to try them out and leave a review below. Chances are you won’t be disappointed.